I hate when science fact gets in the way of science fiction. When it comes to dinosaurs, I stopped listening after the first Jurassic Park. As far as I'm concerned, Tyrannosaurus Rex is still the biggest, baddest dino; Brontosauruses are a thing; and Velociraptors do not have chicken feathers. 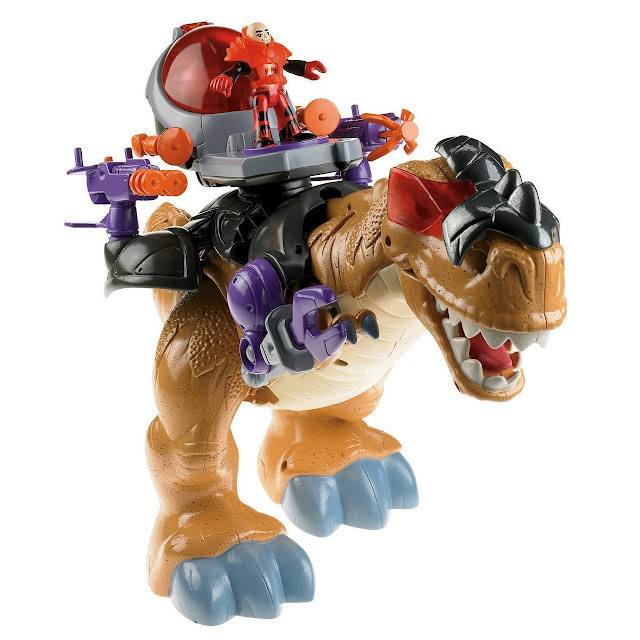 Fisher-Price has been doing some great things with their Imaginext lines. They've explored the world of DC Comics and Toy Story in addition to their own in-house Pirates, Space, Ocean Exploration and Dragons lines. But now F-P has gone and harnassed the nostalgia of Dino-Riders in their brand new Dinosaurs sub-line. So far we have Triceratops, Apatosaurus, Pterodactyl, and the Mega T-Rex. 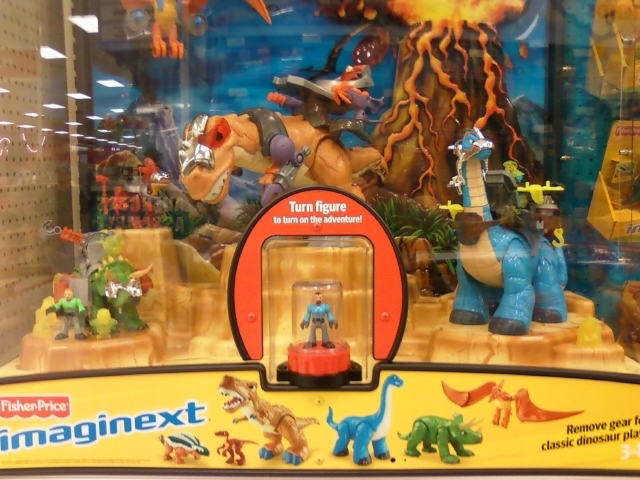 Just like the aforementioned Dino-Riders, the T-Rex features sound and motion; the Target display lets you command the T-Rex's realistic flailing and chomping movement. The actual toy has a try-me feature, but it's so much more satisfying watching the T-Rex buck about without his twist-tie shackles.